The Connect Historic Boston Bike Trail – The Bike Trail will be a family friendly bicycle loop around downtown Boston. The TIGER Grant project includes Phase 1 of the trail (Staniford Street, Causeway Street, Commercial Street, and Atlantic Avenue. Blackstone Block – The Blackstone Block will become a shared street environment with improved accessibility and connectivity between Haymarket and Faneuil Hall. Constitution Road – Constitution Road will become a welcoming multimodal gateway to the Charlestown Navy Yard. The proposed design will maintain current operations of the street for residents and buses, while improving bicycle and pedestrian access. Joy Street – Traffic calming and increased walking space on Joy Street will shift the street in favor of pedestrians and lead the way over Beacon Hill by foot. 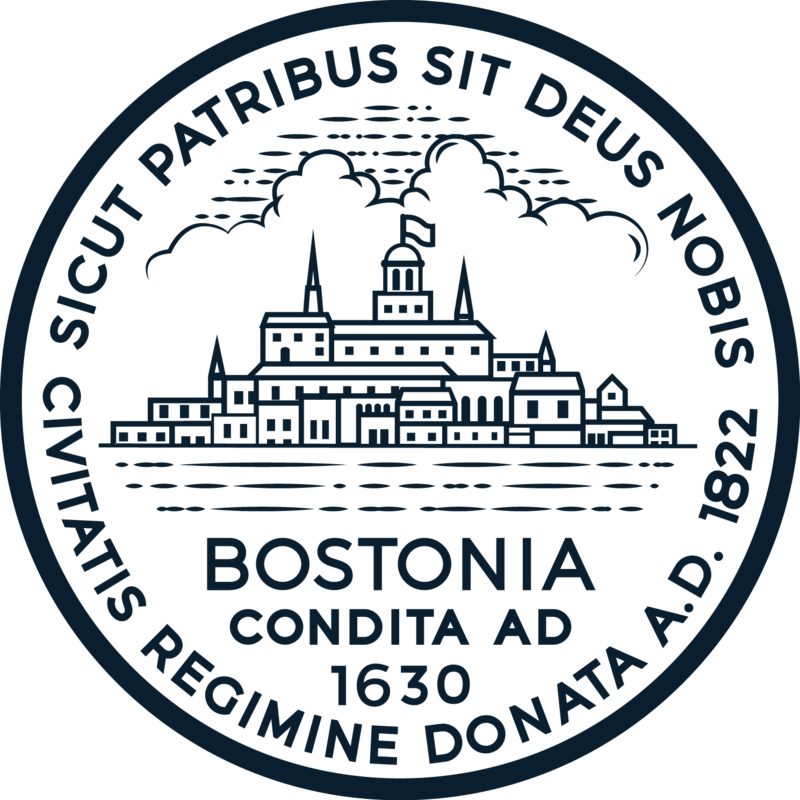 See http://connecthistoric-boston.org/ for more information. Description: The Boston Public Works Department is designing a replacement for the North Washington Street Bridge (Charlestown Bridge). Sitting in the footprint and shadows of the Zakim Bunker Hill Bridge, the replacement bridge needs to complement the form and functionality of the iconic Interstate Bridge. The key aspects of the new bridge will be that it is a livable, walkable, multimodal, green and sustainable bridge, accommodating all users, pedestrians, cyclists and motorists. The design calls for wider sidewalks, gathering places, innovative accent lighting, protected bicycle facilities, and smoother walking surfaces to support the Freedom Trail. The building was constructed in 1932 and contains 18,136 SF with 3 floors and a basement and is situated on a lot size of 20,198 SF. The 1st floor has a 3 bay garage, the patrol room, and a public restroom. The living quarters are on the 2nd and 3rd floors and the basement contains mechanical equipment, storage, and a woodworking shop. The Firehouse houses Engine 2 and Ladder 19. The Firehouse is located at 680 East Fourth Street on the corner of K Street in South Boston. The building was constructed in 1940 and contains 9,720 SF with 2 floors and a basement on a lot size of 3,816 SF. The 1st floor has a 2 bay garage, the patrol room, and a public restroom. The 2nd floor contains the living quarters and basement contains mechanical equipment and storage. The Firehouse houses Engine 3, the Special Unit (Lighting Unit). The Firehouse is located at 618 Harrison Avenue on the corner of Wareham Street in the South End. The building was constructed in 1964 and contains 15,290 SF with 2 floors and no basement on a lot size of 14,193 SF. The 1st floor has a 3 bay garage, the patrol room, the kitchen, and day room. The sleeping quarters are on the 2nd floor. The Firehouse houses Engine 4, Ladder 24, and District Chief 3. The Firehouse is located in the Beacon Hill area at 200 Cambridge Street across from Massachusetts General Hospital. The building was constructed in 1902 and contains 20,800 SF with 2 floors and a basement. Originally, the house was built with 3 floors but removed in the late 1950’s. The 1st floor has a 2 bay garage. The living quarters are on the 2nd floor. The basement contains mechanical equipment. The Firehouse houses Engine 5 and District Chief 1. The Firehouse is located at 360 Saratoga Street in East Boston and across from the Patrick J. Kennedy School. The building was constructed in 1970 and contains 11,376 SF with 2 floors and no basement. The 1st floor has 4 bay garage, the patrol, public restroom, and electrical room. The 2nd floor contains the living quarters. The Firehouse houses Engine 7, Ladder 17 and District Chief 4. The Firehouse is located on 194 Columbus Avenue on the corner of Isabella Street in the Park Square area and across from the Liberty Mutual building. The building was constructed in 1947 and contains 10,664 SF on with 2 floors, a partial 3rd floor (penthouse) and a basement on a lot size of 7,477 SF. The 1st floor contains a 2 bay garage, the patrol room, a public restroom, and the kitchen. The 2nd floor is the living quarters and the partial 3rd floor contains the fitness area. The Firehouse houses Engine 8 and Ladder 1. The Firehouse is located at 392 Hanover Street and abuts the Paul Revere Mall. It is located on one of the busiest streets in the North End.